Pablo Salas was born on August 23rd, 1980, in Toluca, Mexico. He is a primarily self-taught chef that proudly carries his Mexican roots. It is very evident in his style of cooking and it shows through his food. In 2004 he took charge of his first restaurant in Toluca. However, the road to success was not an easy one, as it was filled with many trials and errors. Four years later, after gaining more knowledge and experience, even competing in a handful of national championships as a finalist, Pablo began a process of introspection. He discovered a rare and rich cuisine ignored by many, even by him at one point: the underappreciated and forgotten cuisine of his birthplace, the State of Mexico. Thanks to an intense research project throughout the 125 municipalities of the State of Mexico, Amaranta was born in September 2010. Pablo worked closely with the locals using recipes, products and traditions as the foundation of his cuisine. Then the desire to grow made both Pablo and Amaranta work on several new cooking philosophies throughout the years: the vast use of viscera in fine dining restaurants (2011), utilizing the whole animal from nose to tail (Iberian pork bred in Lerma, in this case) with Mexican recipes (2013), the replacement of seafood by fish and other fresh water products obtained in their non-coastal surroundings (2015) and lastly the restructure of the individual tasting menu as one that can be shared as it happens at a family table (2017). Constant work and continuous commitment as a representative of Mexiquense cuisine, have placed Amaranta as one of the 50 best restaurants in Latin America by the famous San Pellegrino list since 2014. Today it ranks at number 15th on the list and also as one of the best restaurants of Mexico by different media, year after year. Pablo has been a speaker, juror, and Mexican representative at several conferences and festivals throughout his country and around the world. 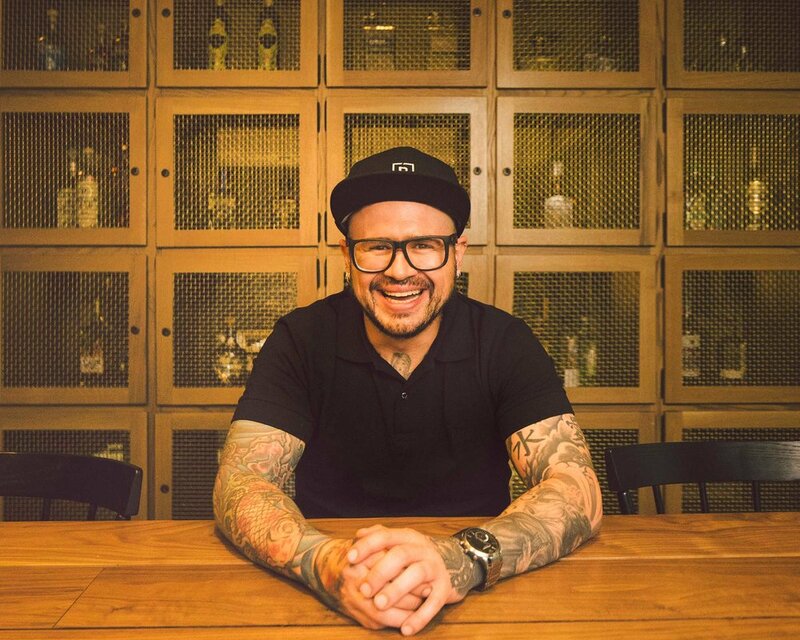 In addition, since 2016 he opened Público /comedor, a restaurant now with two venues, dedicated to homemade Mexican food with top-quality ingredients open for breakfast and lunch, with some dishes influenced by Estado de México’s “fondas”.